We’ve been clearing drains, installing faucets and other plumbing fixtures in Charlotte, Matthews and Indian Trail for long enough to prove we do it right the first time. You don’t have the time for us to ‘fix’ problems. You deserve our guarantee that our work is the best possible. Render your apartment complex or hotel uninhabitable. We’re the plumbing people you can have on call for any plumbing emergency. 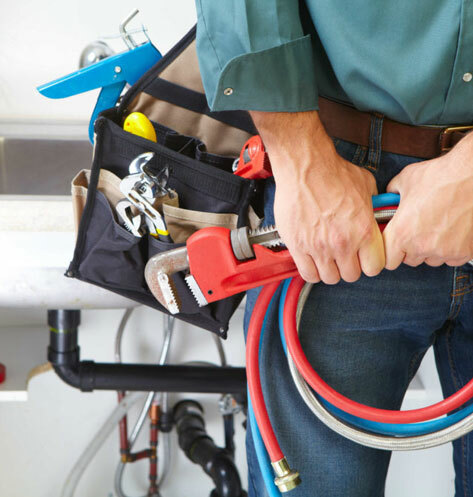 We quickly and effectively take care of any plumbing issues that pop up. We know fast, high-quality work helps your bottom line. WHY CHOOSE FULL SERVICE PLUMBING? If we haven’t convinced you yet, here are some of the reasons we’re the plumbing company you should choose. We’re licensed, bonded and insured in both North and South Carolina. We already work in your neighborhood—Mint Hill, Indian Trail, Town Hall, Matthews, Charlotte, for example. We’re locally owned, and our earnings stay in this community. We support other Charlotte area businesses. We have developed a positive reputation in this community over three generations. Whether you have a plumbing problem, or you’re building a new home, the solution begins with a phone call. Problem? We’ll ask you to describe what’s going on, and then set up an appointment to uncover all the facts. Seeking a quote? We’ll schedule the appointment to discuss your needs and review plans. Plumbing problem? After we’ve checked into it, we’ll give you a clear explanation of what we have found. We’ll follow this with an estimate of the materials and costs involved to get your plumbing back to work. New construction? If we don’t give you an onsite estimate, we’ll be back to you with a quote the next business day. You’ve accepted our quote and hired us. Now, you can expect us to start work on the day we’ve committed to. For emergencies, that’s usually right away. For new construction, we will show up to start our plumbing work on the date the general contractor sets. If you ever have questions, please ask. We’re committed to great work. You deserve a full guarantee that the work we’ve done meets or exceeds industry standards, so that’s what we offer. We won’t use cheap materials. When we fix a problem, you can expect it to ‘stay fixed.’ We also guarantee our plumbers will be respectful and professional if you do ever have an issue develop. We’re a locally owned company—committed to serving Indian Trail, NC for three generations. Over the years we’ve served Charlotte and Matthews frequently as well. Our team of plumbers offer you 80+ years of combined experience. We’ve seen a lot of changes over the past 20 years. We’ve kept up with them, because delivering the best service is important to us. For example, we rarely have to excavate to identify a problem. We send high-resolution cameras down the pipe or sewer line to see what’s going on. You only pay for excavation and replacement when it’s needed. We use high-velocity jetting machines to clear lines to like-new capacity. This works on old and new pipes alike. We employ leak detectors to pinpoint even tiny leaks in pipe buried in concrete or under asphalt. Our detectors are so sensitive, we can even find leaks under your lawn in your irrigation system. Have an old home? Is your business facility aging? We can pinpoint where every line is using our line locator. That way when excavation work is required, we’re damaging as little as possible. 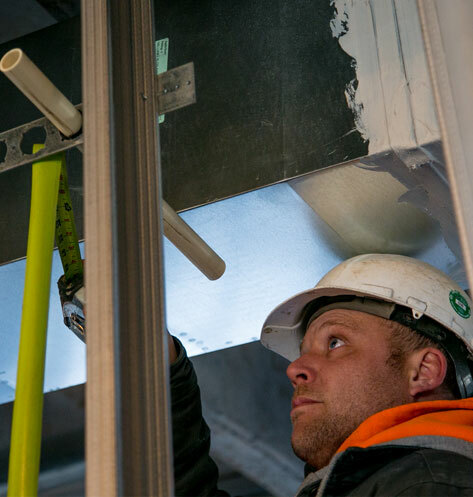 We won’t demolish walls seeking pipes, and we won’t rip up your landscape looking for lines. Our goal is to do the job quickly, efficiently and cost effectively. 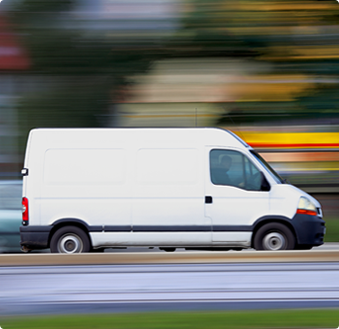 When plumbing emergencies happen, we’ll get you back to doing what matters fast. When you hire us for new construction, we’ll do our part to keep the project on or under budget. Technology might not be your first thought when you think of plumbing, yet it’s making it easier for us to help our North and South Carolina neighbors save energy and conserve water. It also helps us leave a smaller footprint in your home or business when you need us. That’s why we’ve been keeping up with plumbing technology. If your objective is to ‘green’ up your home, our plumbers are trained regularly. They know how to refurbish old systems and design new ones so your plumbing does what it’s supposed to—complement the way you live. This means you can turn to us for more than those plumbing emergencies. We’re also you partners in helping you add value to your home. Meet our two rescued dogs, Marley and Niko. They’ve become our mascots because of what they symbolize—everyone deserves a happy home. They also remind us that the little guy ought to be treated like he or she’s the biggest guy. We guarantee our work. We guarantee our technicians will be professional. Full Service Plumbing has worked on a wide range of commercial plumbing projects for us and has always finished in a timely manner. We value their finished workmanship to the point that we often refer them to other clients looking for a plumbing contractor. At 83 years old I would like to thank your company and wonderful service agent Keith. All these years have meant our success in our rental and family business. The Office of RJG Architect, P.A., is pleased to recommend Full Service Plumbing for your current and future plumbing contractor needs. I have known and worked with Steve Ambrosio, Master Plumber and the experienced, knowledgeable and personal staff of dedicated professionals of Full Service Plumbing for over 20 Years here in Charlotte, NC.